Salam for Democracy and Human Rights (Salam DHR) is following with deep concern the complaint sent by Bahraini detainee, Mohammed Abdullah al-Singace, in which he recorded a voice message urging for a neutral and transparent commission to investigate the torture, ill-treatment and unfair trial he has been subjected to. Al-Singace reported that he sent a complaint to several Bahraini judicial bodies explaining the grievances he has been subjected to from the moment of his detention until a false confession was extracted from him under torture. He delivered a letter on 20 December 2017 to judicial authorities explaining the injustice he has suffered and how he has been subjected to a trial that was void of the minimum standards for fair trials. He addressed his letter to the Chairman of the Supreme Judiciary Council, the Chairman of the Cassation Court, the court judge, and the Attorney General. 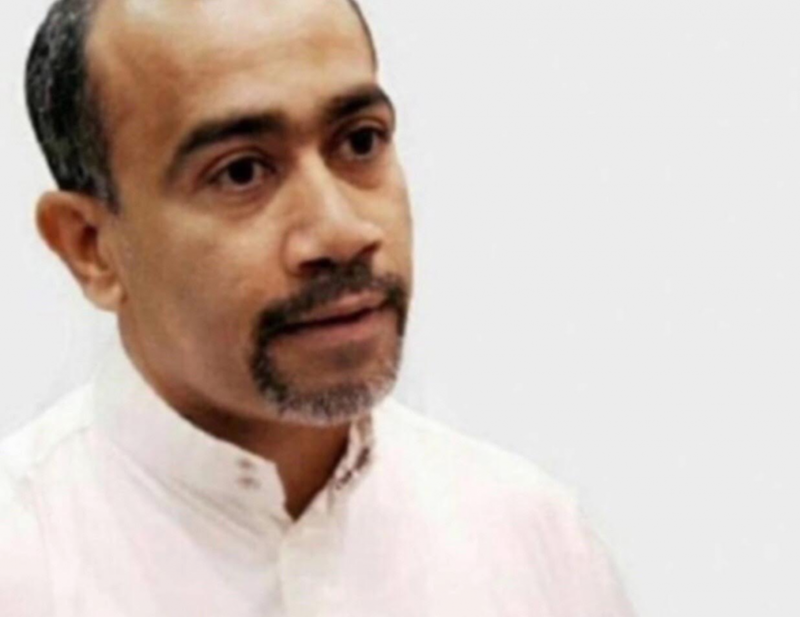 Al-Singace was arrested on 15 May 2013 in the area of ​​Muqabah when around 15 to 20 masked security authorities raided his house at 1:30am, without permission from the Public Prosecution. They broke the door of his bedroom, where his wife was present. Then, in another room, he was beaten, blindfolded, handcuffed, taken away and forcibly disappeared. Later, his family was informed that he was detained in the Criminal Investigation Directorate building, where he was tortured and asked to sign a false confession, without being told his charges. He refused to sign the pre-prepared confession and was further tortured. Three charges were filed against him: “membership of the 14 February Youth Coalition”, “inciting assault on security men by throwing stones” and “illegal gathering”. On 29 September 2013, a five year prison sentence was issued against al-Singace, when the court held a hearing on the case of the “14 February Youth Coalition”, in which 50 people were tried under the law “protecting society from terrorist acts.” The trial, which was held on 11 June 2013, did not meet the minimum standards of fair trials. All the defendants were subjected to severe torture and as usual their statements were ignored by the court. The defendants decided to boycott the court and to not attend the hearings because of the lack of an independent judiciary. Al-Singace was sentenced in absentia to 10 years’ imprisonment for inciting the youth of a neighboring town to throw stones at security forces and was sentenced to six months’ imprisonment. Al-Singace began a hunger strike on 15 October 2018, in protest against the unfair verdicts against him. He was malnourished and reported to the prison doctor that he was in need of intravenous food, but the prison administration prevented him from treatment, forcing him to stop the hunger strike. On 24 October 2018, he received assurances from the Special Investigation Unit (SIU) that they would pursue his demands. Al-Singace has been targeted by the security authorities in Bahrain since the 1990s. He was arrested for his activities collecting signatures on the popular petition of 1994 demanding democracy and re-enacting the 1973 constitution. He was also detained from his father’s house on 27 December 2007 because of protests following the death of the activist Ali Jassim on 17 March 2007, known in Bahrain as the march of Martyrs’ Day which demanded the prosecution of torturers and reparation. Al-Singace reported that his eyes were covered and his hands were shackled at the time of his arrest and then taken to the Criminal Investigation Headquarters in Adliya where he was physically and psychologically tortured, including standing for long hours, falaqa, beatings on sensitive areas of his body, solitary confinement, sleep deprivation and sexual harassment. After more than a year of detention, he was sentenced to five years’ imprisonment, and on 12 April 2009 he was released, as part of a general amnesty that included most of the detainees and defendants in human rights and political issues. He was dismissed from his job on 20 July 2009, where he worked as a laboratory technician at the Ministry of Work. Bahraini authorities have violated obligations under international law, including the Convention Against Torture (CAT) and the Law of Fair Trials, which is a fundamental right of the individual. Article 10 of the Universal Declaration of Human Rights (UDHR) states that “everyone is entitled in full equality to a fair and public hearing by an independent and impartial tribunal, in the determination of his rights and obligations of any criminal charge against him” and article 14 of the International Covenant on Civil and Political Rights (ICCPR) states “all persons shall be equal before the courts and tribunals. In the determination of any criminal charge against him, or of his rights and obligations in a suit at law, everyone shall be entitled to a fair and public hearing by a competent, independent and impartial tribunal established by law”. Salam for Democracy and Human Rights (Salam DHR) calls on the parties addressed by Mohammed al-Singace to quickly respond to and consider all the violations he has mentioned, including not being able to contact his lawyer during the interrogation period, forcing him to sign false confessions, his allegations of torture and the invalidity of the sentences against him because of the absence of his right to a fair trial.